Helly Hansen Verglas Hooded Down Insulator Jacket. The Helly Hansen Classic performance Verglas series has been protecting outdoor professionals and enthusiasts for over a decade. 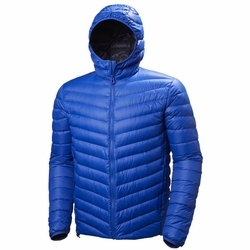 A comfortable fitting jacket with a fixed hood, allows for the addition of an outer hardshell, but acts a stand alone performance layer for many weather conditions.